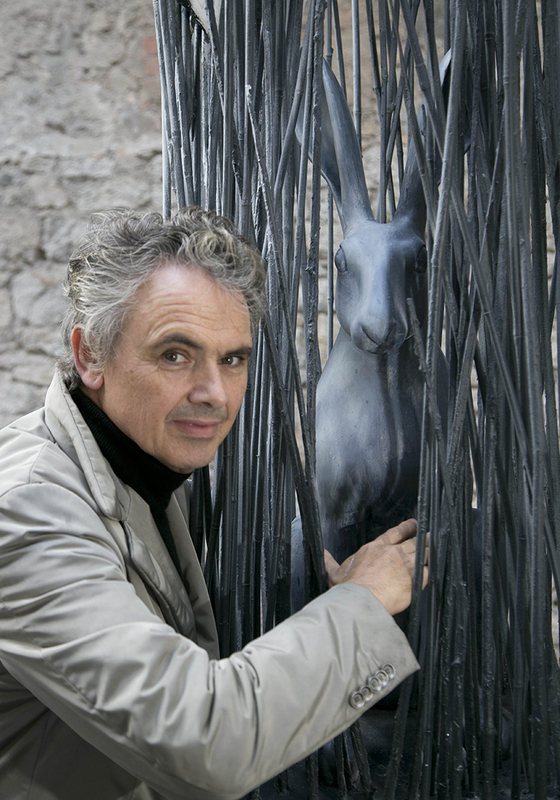 The ‘Hares on the March’ campaign for Jack & Jill started with a live auction conducted by John de Vere White in the Royal College of Physicians Ireland which brought in €63,450. Each of the hares, measuring 3 ft tall, has its own story, with the top hare, designed by Pauline Bewick, entitled “The Irish Hare” raising €8500 at the auction. In total there are 110 hares for auction, with the remainder open for bids online until next Monday 21st March at 5pm. Meanwhile, the hares are on display at the CHQ Building in the IFSC and Dublin City Hall over the coming days, for people to admire and to consider purchasing. 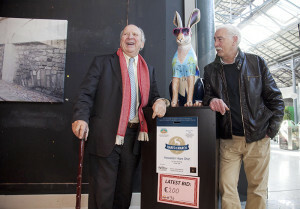 1 user commented in " Auction of 25 artistic hares raises over €63k for Jack & Jill Children’s Foundation "
The online auction closes on Monday 21st March ’16 at 17h00.